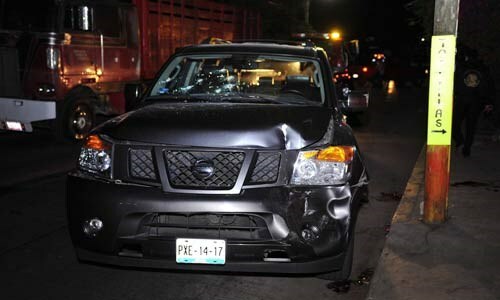 A Mexican judge has determined that there is enough evidence to process ten police officers on charges of homicide and attempted homicide related to the February 7 attack on the motorcade of the attorney general of Morelos, Attorney Dorantes Rodrigo Salgado, in which three of his body guards died. After a hearing of almost 22 hours judge Elvia Terán Peña concluded that the evidence adduced by the prosecution was sufficient to include charges. The judge set a deadline of three months for the prosecutors to conclude their research into the case. The determination was met with tears on the part of family members of the accused police officers, many of whom had been sleeping in the hallways of the courthouse waiting for news of a favourable outcome. The ten officers say that the attorney general’s guards showed their arms at a checkpoint south of Cuernavaca, the state capital, adding that it was impossible to fully identify them, but that the attitude of the body guards was hostile. The checkpoint police radioed that the men had shown their weapons, and their superiors instructed them “not to let them”. In response, one officer said he fired twice into the air as a warning, but to no effect. The officers also claimed that throughout the event they remained unaware that the vehicle was that of the attorney general and his body gourds, and that they did not cease firing until ordered to. Relatives of the accused officers are continuing to demand that Morelos’ governor Graco Luis Ramírez Garrido Abreu order their loved ones' immediate release. Their dismay comes from widespread belief that the attorney general’s security detail was the first to open fire. However, it looks like the officers will be facing charges – and perhaps significant jail time. As well, the families of the three killed body guards are also seeking justice. 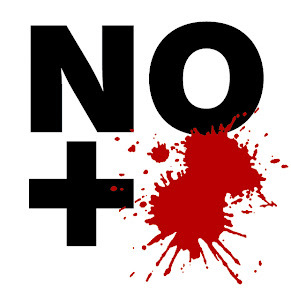 The specifics of the self-defence argument are that at around 23:45 on the evening in question a patrol of the Special Operations Group (del Grupo de Operaciones Especiales, “GOES”), had detected suspects riding in two trucks – one grey, the other white – and that they were armed. This resulted in a checkpoint being set up, at which the attorney general’s motorcade did not stop, resulting in a pursuit and the killing of the three body guards. In a recent development, Mexico’s Interior Minister Miguel Ángel Osorio Chong has said that the Attorney General’s office (Procuraduría General de la República, “PGR”) will assist in the investigation into the attack. Tsk tsk. The pain of losing a loved one because of a reason like this is immeasurable. I wonder if Airline Attorneys have to undergo on this?